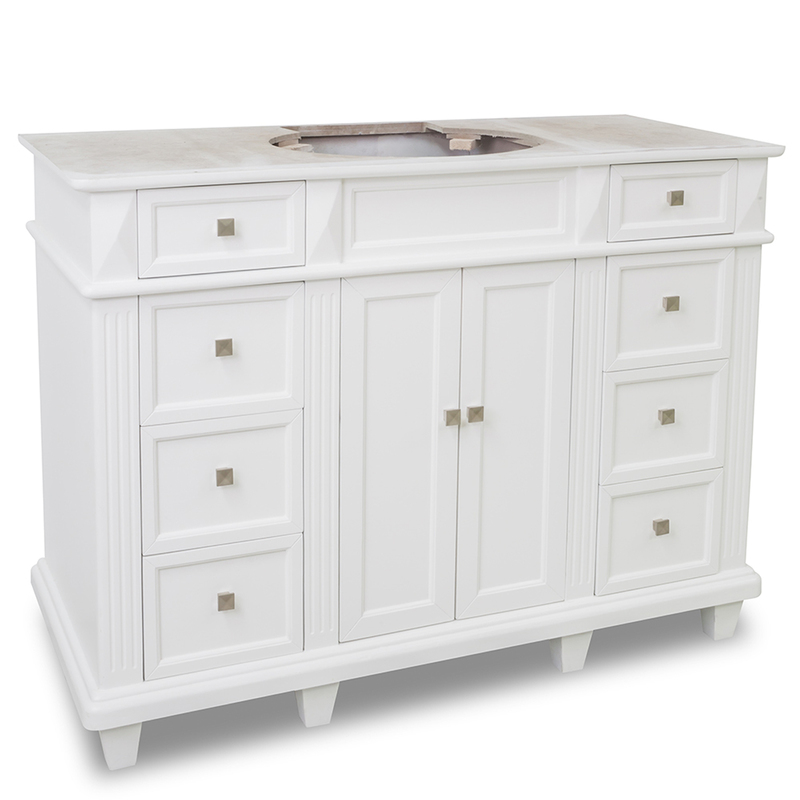 Brighten the atmosphere of your bathroom with the 48" Jupiter Single Bath Vanity in white! 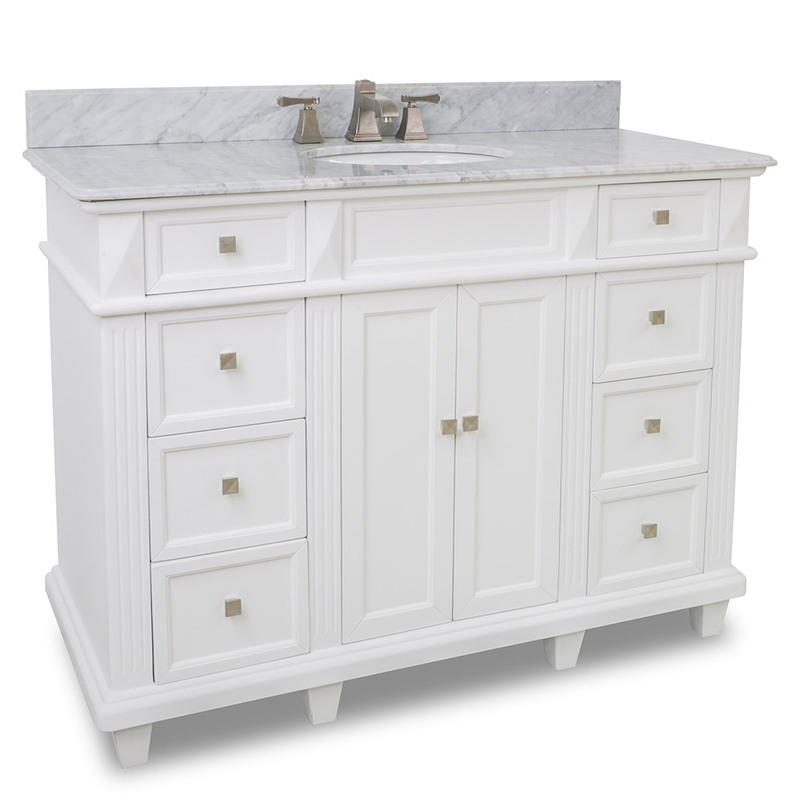 Featuring a beautiful White finished cabinet that's matched with a White Carrera Marble top, the Jupiter Vanity brings out a modern zeal that leaves your bathroom looking clean and fresh. A large double-door cabinet is accompanied by three fully-functional drawers on each side, giving you a total of six drawers for all your bathroom necessities. Each drawer is adorned with a square Satin Nickel accent handle to make accessing each drawer easy. 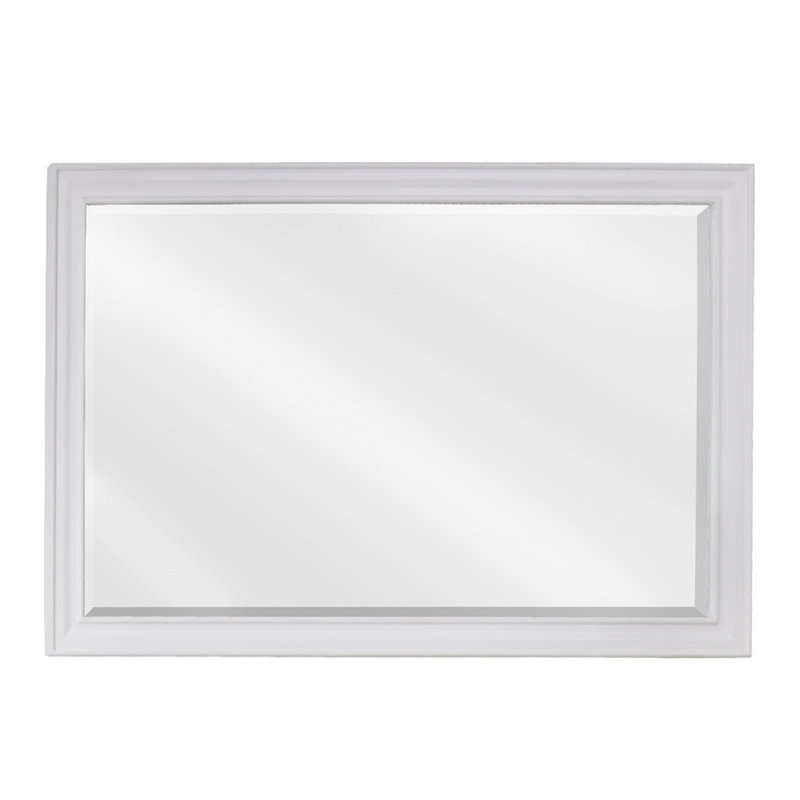 Add the matching mirror to your new Jupiter Vanity for a truly remarkable look.